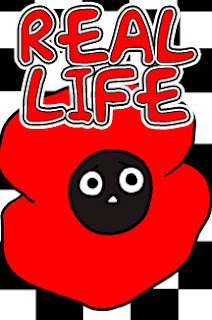 REAL LIFE - PART ONE: WHY? Why are we here? Why are we so busy thinking about what we’re going to have for tea, what we’re going to wear for school, who are we going to vote for, and should we go to war, that we actually loose focus of the bigger picture -- on what really matters -- on REAL LIFE. 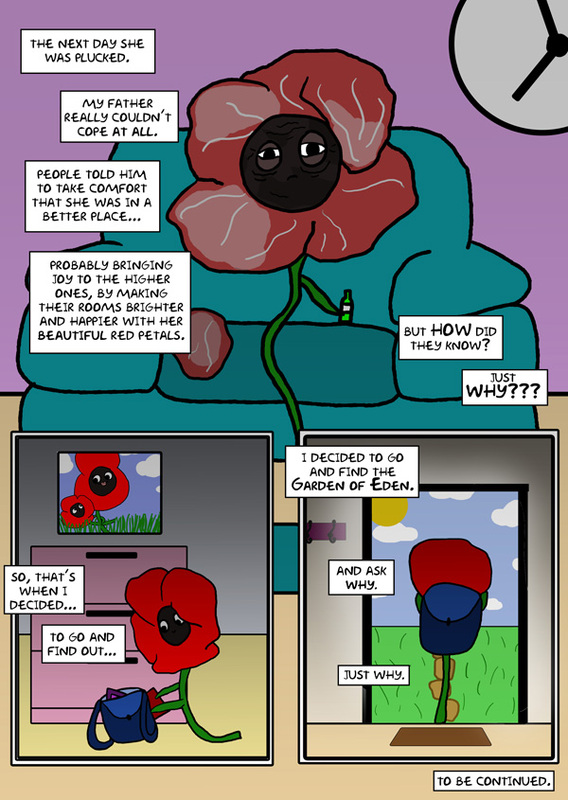 Well, not so for Poppy the flower, as she decides to make a break, and search for some true definitive answers to the stuff that really matters. To find out what, please check out this new child-friendly webcomic created by Alexia Varnava and Tzvi Lebetkin. 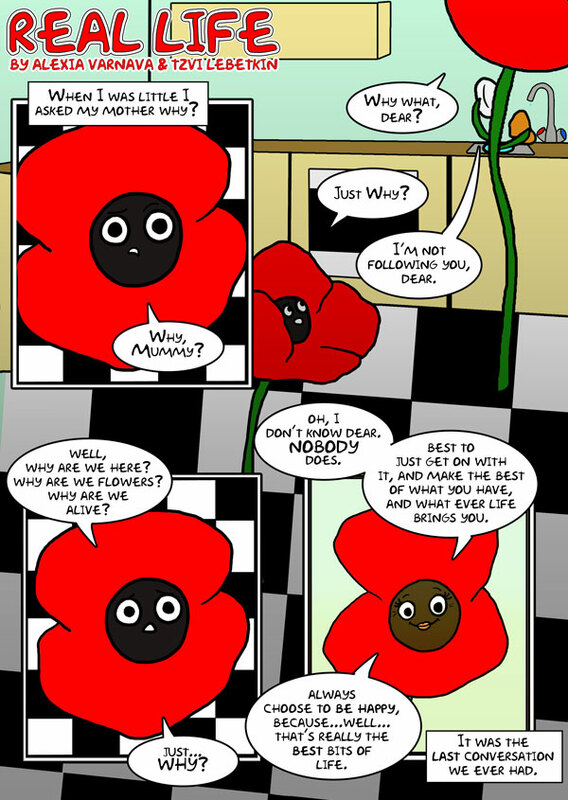 If you want to check out some more of Tzvi's work, please don't hesitate to pop on over to his official website, biblicalcomix.com. And while you're at it, don't forget to follow Alexia on her Instagram page.